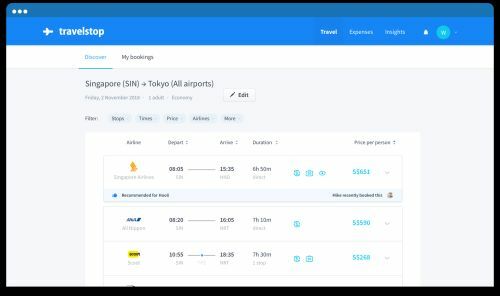 SINGAPORE, Jan 22, 2019 – (ACN Newswire) – Travelstop, a Singapore-based business travel startup that plans to re-imagine and simplify business travel in Asia, is launching in seven markets including Indonesia, Thailand, Hong Kong, Taiwan, Japan, South Korea and Vietnam. 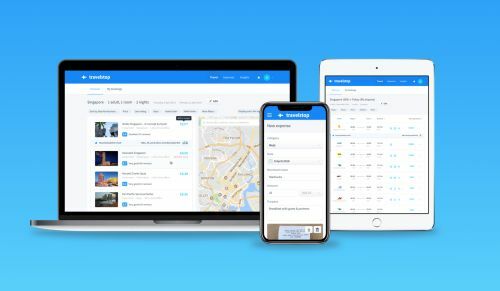 Travelstop also announced the release of its iPhone app that allows business travellers to manage their business travel on-the-go, along with several new features to cater specifically to the needs of business travel managers and travellers in Asia. With today&apos;s releases, Travelstop further strengthens its focus and services in the Asian market, where business travel remains largely unmanaged. Travelstop plans to tackle these challenges by offering a truly localised product experience. "Many companies in Asia have offices in multiple countries across the region. 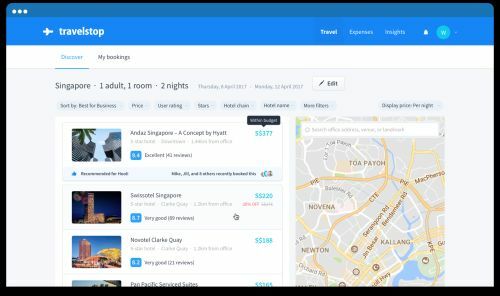 Our goal is to provide these users with the best possible experience in their local language and currency, while ensuring that we offer the most relevant booking options," says Prashant Kirtane, Travelstop&apos;s co-founder and CEO. "We now offer the largest selection of flights in the region, with over 800 carriers, including most regional and low-cost carriers". For business travellers, adherence to a company&apos;s travel policy is both cumbersome and challenging, often resulting in business travel bookings that are either over-budget or out-of-policy. To address this growing issue, Travelstop is introducing a simple and intuitive way for travel managers to set up "Business Travel Policies" for all their employees in just a few minutes. 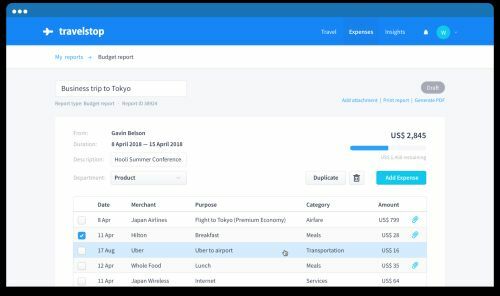 Once set up, business travel bookings that are outside of travel policies are automatically flagged during the booking process, allowing companies to improve overall compliance and reduce costs. Countries with a higher acceptance of technology and companies in the region that are shifting away from a more "tightly controlled" business travel process will benefit from this feature as a way to provide employees with more flexibility while keeping costs under control. Today, Travelstop is also launching its iPhone app to help users access their trip information and manage their business expenses on-the-go. "Our goal is to make employees more productive; they no longer have to return from their business trips and spend hours dealing with the much-dreaded expense claims process," says Altaf Dhamani, Travelstop&apos;s co-founder and Chief Product Officer. "We&apos;re leveraging native device capabilities to make in-trip expense reporting a breeze. Our focus is to provide an exceptional mobile experience for users, regardless of device". "Travelstop is incredible! We haven&apos;t seen a better product experience and feature-set for business travel before," says Amit Saberwal, Founder and CEO at RedDoorz. "Travelstop has replaced the complex, manual process of business travel and expense management with a simpler, modern, and more elegant solution that just works".